50 rounds isn't exactly much of a range session, right? 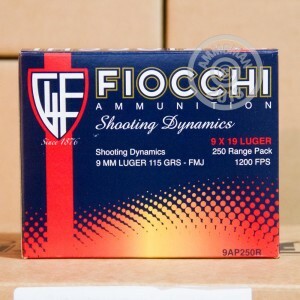 So grab this 250-round range pack of 9mm Luger ammo from Fiocchi's Shooting Dynamics series. These cartridges fire a 115 grain full metal jacket bullet with typical 9mm Parabellum ballistics and a muzzle velocity of about 1,200 feet per second. 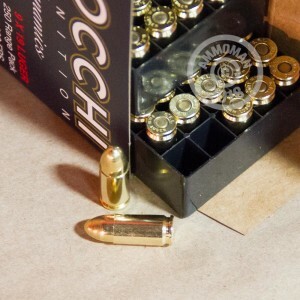 This ammunition is loaded at Fiocchi of America's production facilities in Ozark, Missouri using non-corrosive Boxer primers and brass cases. 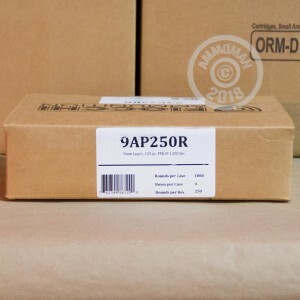 Save on ammo by the case at AmmoMan.com, where all orders over $99 ship for free! Ran this ammo through my Canik TP9 V2 without any issues to speak of. Cycled the weapon very smoothly and responsively, Brass seemed to extract well, no hiccups.